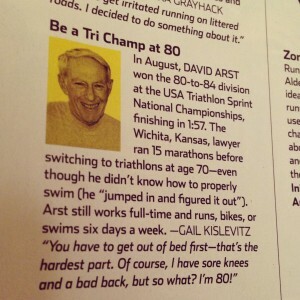 Meet David Arst, a spry 81-year-old! 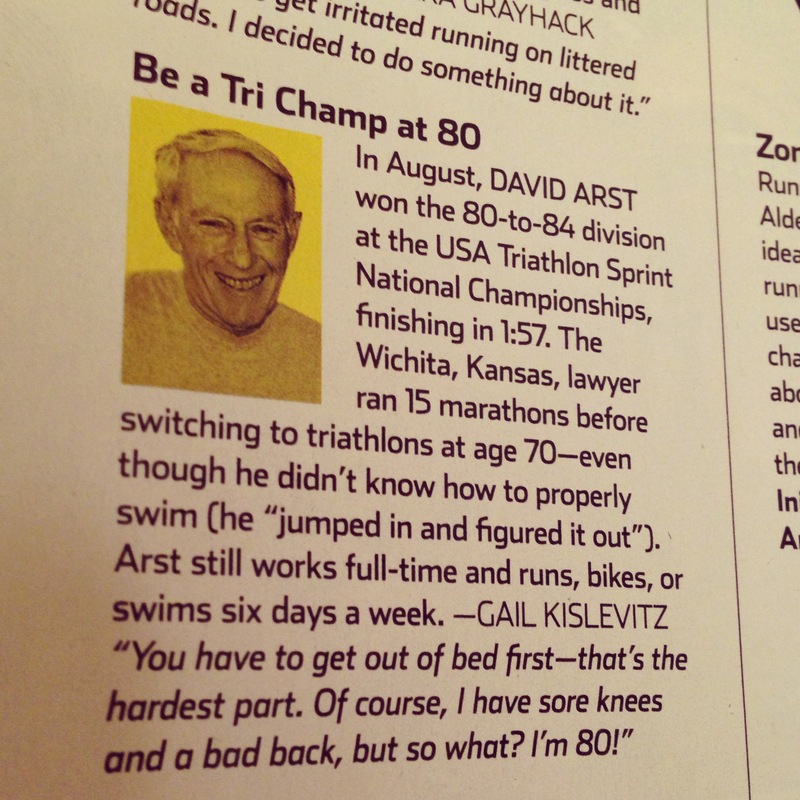 “I started running in the 70’s. I got into running because I played handball and I wasn’t very good. At that time, people around here were starting to run marathons I thought that it was really something, and wondered if I could do it. How long have you been running competitively and how many races have you ran? 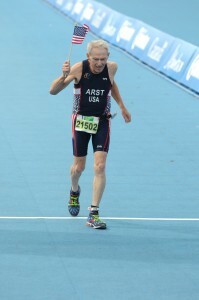 “My first marathon was in 1979, but I have no idea how many races I’ve been in. I used to run two marathons a year, and in those days they didn’t have 5K’s like they do now. They had 10K’s, and I ran a number of those each year. 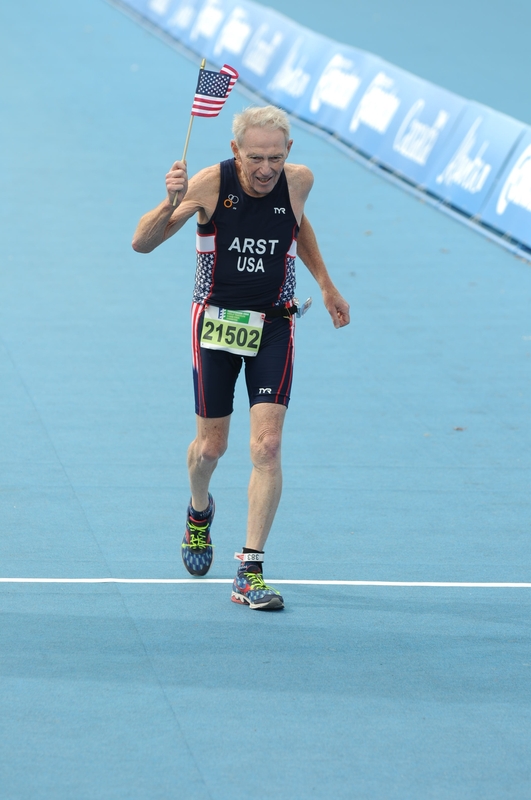 I saw you were part of Team USA at the 2014 International Triathlon Union Sprint Triathlon World Championships, and won gold in your age group. Would you consider that the most proud moment/accomplishment in your running career? Do you have any special rituals or routines that you attribute to your running career? What do you enjoy most about the sport? “Finishing. I’ve never really liked it a lot, I know that sounds odd. The hardest thing is getting out the door, once you do that…things are okay. What do you like about the Prairie Fire Series as compared to other similar events? What advice would you give to anyone who is thinking of taking up running? Any thoughts/plans on your running future? “Right now, I’m in a dilemma whether or not I should go to the World Triathlon Championships in Chicago this year.